Elburg. Definitely the smallest of the "Hanse" (Hanseatic) cities. The medieval German pact of cities around the Baltic Sea, that was later joined by cities in the low countries. Between 1292 and 1296 Elburg was rebuilt in the form it is seen today, though most of the buildings have a 17th to 19th century appearance. Barely 500 x 500 meters 'inside the moat', it's a stunning place with a small harbour just outside the original city wall. That's where I am, for two back-breaking days of work. 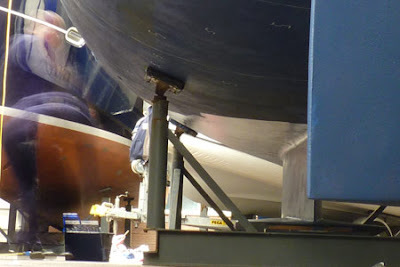 Applying an anti-fouling coating on the bottom- and wax on the topside of the boat. 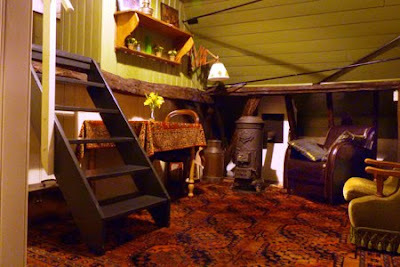 But right now, I'm relaxing in the 'cutest B&B in town' Bed & Breakfast Elburg.